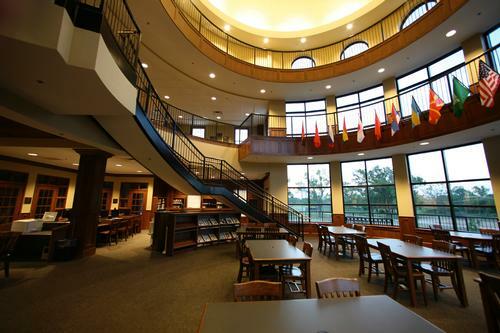 The Brook Hill School Middle/Upper School Library has the potential to house over 17,000 books in addition to periodicals, reference and resource materials. Brook Hill students have access to dedicated computer resources, study carrels, small-group study rooms and open library tables on the base floor of the rotunda. This facility is equipped with the latest digital and wireless technology and can accommodate over 300 students at any given time.